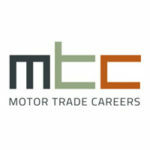 Motor Trade Careers require, for one of our preferred clients in Liverpool, an experienced motor vehicle technician to complement their busy aftersales team. The successful candidate will have a good, stable history of working in a busy volume main dealer environment. Enhance the reputation of the client at every opportunity when interacting with others. This position is with arguably one of the most respected, family-owned dealer groups in the UK with a reputation for 1st class service to both customers and employees and, therefore, the salary on offer is between £20-23K basic, with an opportunity to earn up to £30k including bonuses.